Be Prog! My Friend 2017 will take place in Poble Espanyol, Barcelona, Spain on June 30 – July 02, 2017. Jethro Tull, Marillion and Ulver are among the bands that will perform at Be Prog! My Friend 2017 festival. Roadburn Festival 2017 will take place at 013 in Tilburg, The Netherlands on April 20-23, 2017. 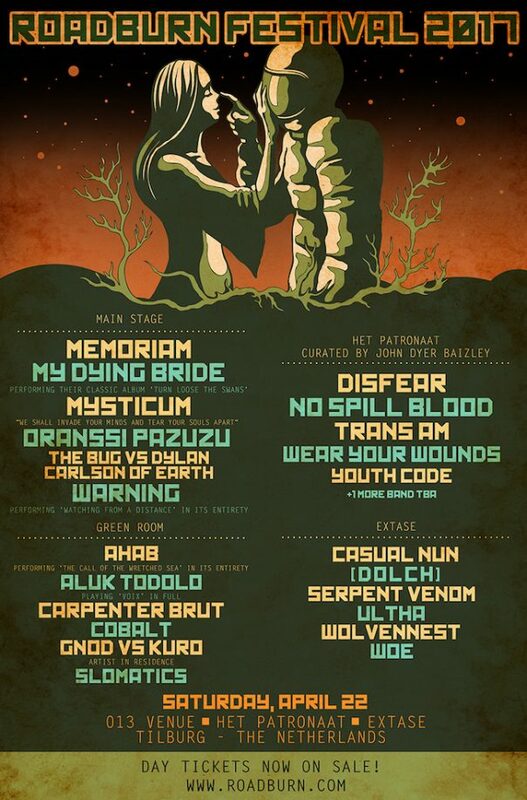 Baroness, My Dying Bride and Mysticum are among the bands that will perform at Roadburn Festival 2017 festival. Maryland Deathfest will take place at Baltimore Soundstage, Main Venue – Edison Lot, Rams Head Live in Baltimore, MD, USA on May 22-25, 2014. Damnation Festival will take place at Leeds University, across three stages on Saturday 5th November 2011. Evile, Ulver and Grand Magus are among the bands that will perform at the Damnation Festival 2011 festival. Slayer, Motorhead, Candlemass, and Fear Factory are the lastest bands confirmed to perform at HellFest 2010, held in Clisson, France on June 18-20. The 14th edition of annual open air festival BRUTAL ASSAULT is scheduled for the first week of August , in the concrete from 6th till 8th of August. The place to be is still the festival grounds of the Old Army Fortress in Josefov.